John 15:1 “I am the true vine, and my Father is the vinedresser. 2 Every branch in me that does not bear fruit he takes away, and every branch that does bear fruit he prunes, that it may bear more fruit. 3 Already you are clean because of the word that I have spoken to you. 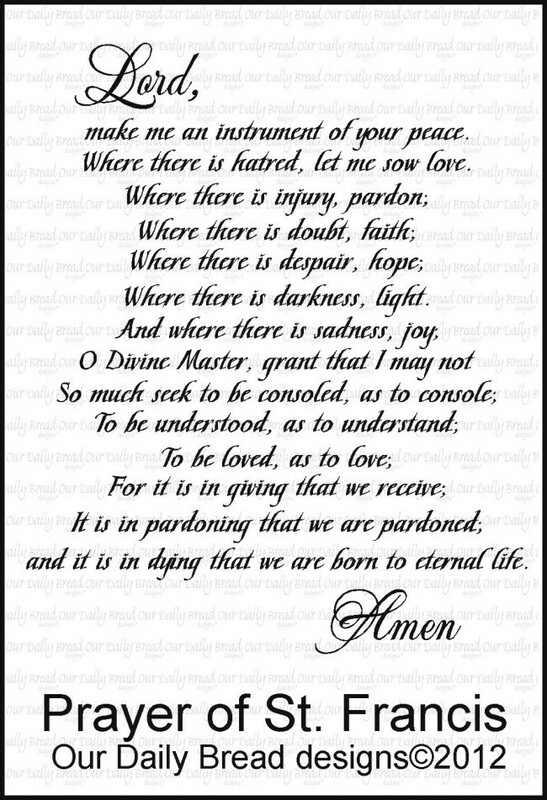 4 Abide in me, and I in you. 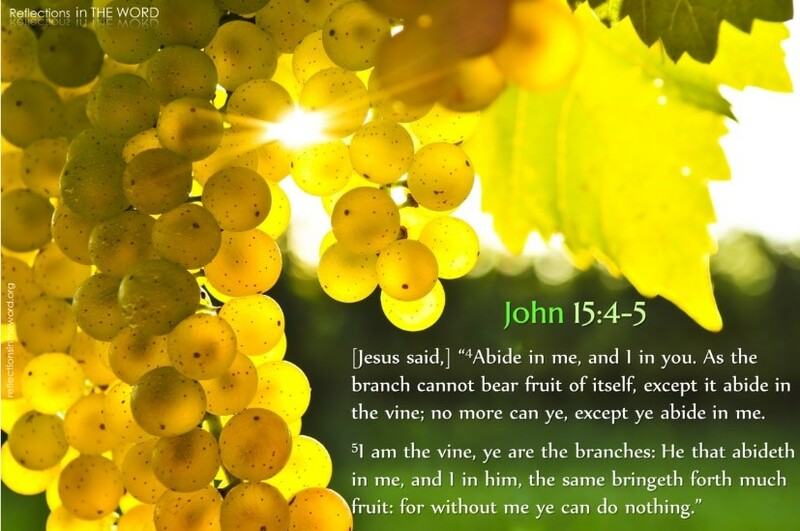 As the branch cannot bear fruit by itself, unless it abides in the vine, neither can you, unless you abide in me. 5 I am the vine; you are the branches. Whoever abides in me and I in him, he it is that bears much fruit, for apart from me you can do nothing. 6 If anyone does not abide in me, he is thrown away like a branch and withers; and the branches are gathered, thrown into the fire, and burned. 7 If you abide in me, and my words abide in you, ask whatever you wish, and it will be done for you. 8 By this my Father is glorified, that you bear much fruit and so prove to be my disciples. 9 As the Father has loved me, so have I loved you. Abide in my love. 10 If you keep my commandments, you will abide in my love, just as I have kept my Father’s commandments and abide in his love. 11 These things I have spoken to you, that my joy may be in you, and that your joy may be full. 12 “This is my commandment, that you love one another as I have loved you. Our ears are always open but are they listening? Writer Charles Swindoll once found himself with too many commitments in too few days. He got nervous and tense about it. “I was snapping at my wife and our children, choking down my food at mealtimes, and feeling irritated at those unexpected interruptions through the day,” he recalled in his book Stress Fractures. “Before long, things around our home started reflecting the patter of my hurry-up style. It was becoming unbearable. Bits & Pieces, June 24, 1993, pp. 13-14. God calls us to use our ears for instruction. 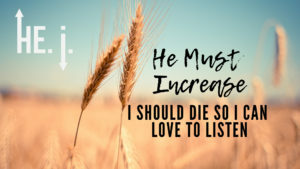 Listening requires abiding in Christ and dying to self. When we listen we love. 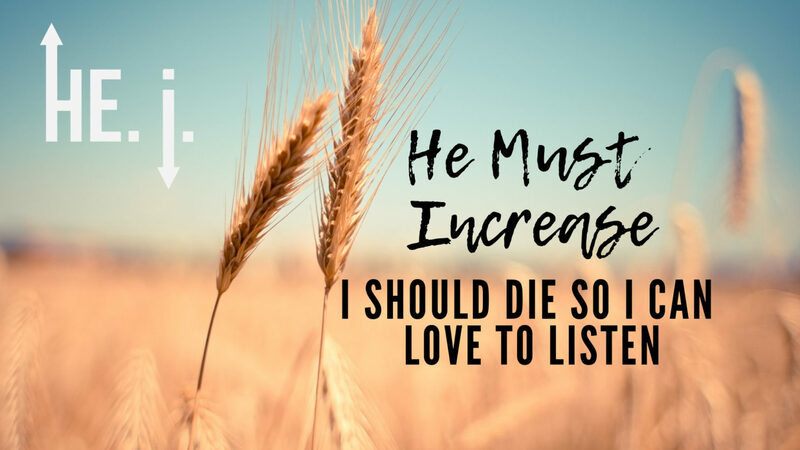 When we listen to reproof we have an opportunity to grow. Do you know someone who is a good listener? Describe. Do you need to be a better listener? Explain. Explain how self-righteous people do not make good listeners? Do you listen for and welcome rebuke, and reproof? Explain.